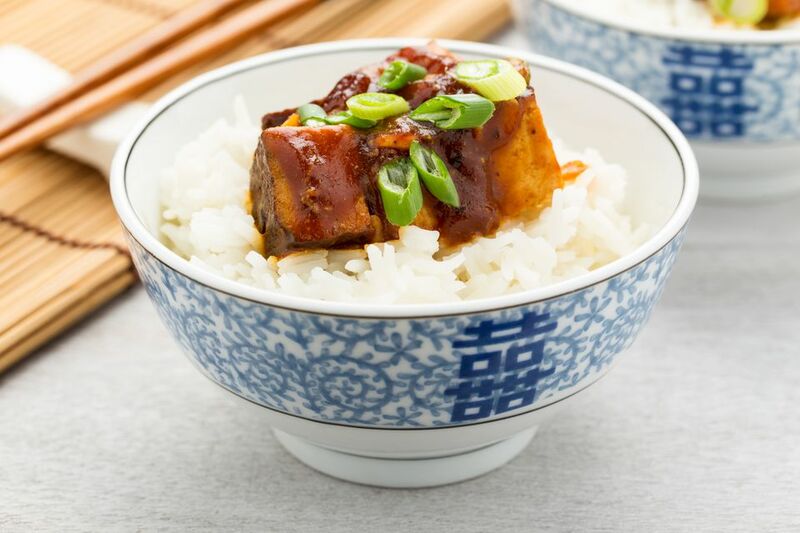 Like most slow cooker recipes, this vegetarian crock pot barbecue tofu recipe is super easy. Just dump everything in the crockpot in the morning and you've got dinner when you come home at night! If you've got two extra minutes, chop up an onion and add it on in there. To serve, you can make sloppy-joe-like hoagie sandwiches using any kind of bread. Try toasted French bread, or even just regular hamburger buns with lettuce, cheese, and pickles if you'd like. Alternatively, pair it with rice or whole grains and a vegetable side dish for a full meal. Keep it southern-themed by pairing it with vegan macaroni and cheese and collard greens or, for the perfect full meal, pair it with some collard greens and rice.